The modern piano is one of the most celebrated instruments in the world. Most of us know the two most popular models; the upright and grand. 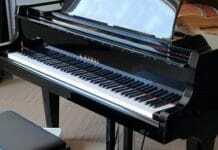 However, there are several more types of pianos that are available to play. Most of them function and play the same way, but there are some key differences. In this article, I’ll talk about the 10 types of pianos you should know as well as some interesting facts about each one. 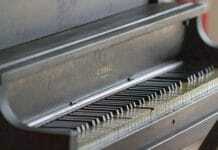 We’ll look at which pianos are still in production today and some interesting facts about each. Whether you’re a beginner pianist or a seasoned pro, you’ll find definitely learn something new! Let’s start off with the most common house instrument, the upright piano! The first type of piano we’ll look at is the upright piano. Upright pianos belong to the family of vertical pianos. They are compact in design and are often found in churches, schools, and homes. Because of their vertical build, upright pianos can be placed directly against walls. Upright pianos also fit well in small spaces where a grand piano would not be suitable. The upright piano is the largest and tallest of all the vertical piano models, typically measuring over 50″ in height. Because of their size and height, these pianos produce the best sound quality compared to other vertical pianos. The soundboard larger, the strings are longer, and overall upright pianos are built with better materials. All of those great features don’t come without a cost though. A quality upright piano can cost as little as $5000, and as much as $39,000! Those prices are certainly comparable to mid-size concert grand pianos. Most people tend to buy upright pianos on the secondary market to save on the costs. The biggest differences between upright and grand pianos are their playing action. However, the more expensive uprights feature unique magnet repetition action for better response and faster playing. Some upright pianos also feature a mute pedal, hard maple pin block, and walnut and polished white finishes. For the most part, upright pianos are designed for amateur pianists. They feature action that is good enough to help a young pianist develop. 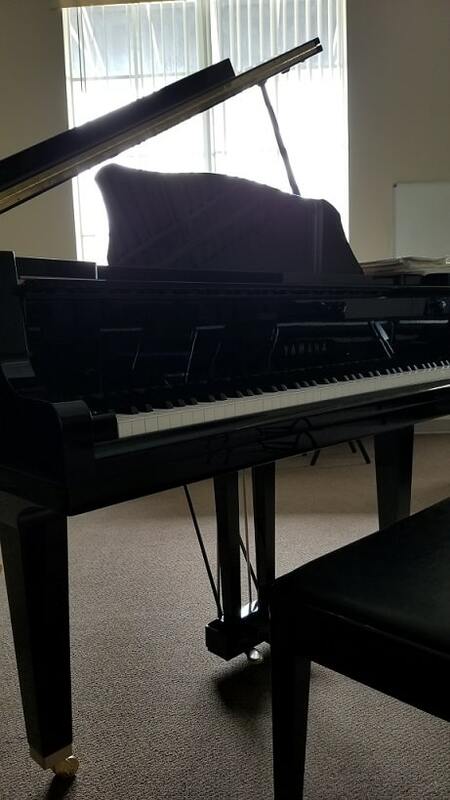 As a pianist starts to become very proficient at the piano, however, an upgrade to a grand piano will become necessary. We’ll talk about the baby grand next! Those looking to upgrade from an upright piano should consider a baby grand piano. These are cost-effective alternatives to a concert grand piano and provide many of the same benefits. A typical baby grand piano costs anywhere from $3500 – $7000. Depending on the brand of piano, it’s not uncommon to find baby grand pianos that cost in excess of $50,000. Baby grand pianos are most characterized by their size. Ideally, these are pianos that are between 5’0 and 7’2″ in size. The soundboard, strings, and action parts lay horizontally instead of vertically. This is why grand pianos have a wide shape. Because of their shape they can generate much more sound with less effort. Baby grand pianos are ideal for those who want a grand piano but are limited on space. It’s very easy to situate a 5′ piano in a small room or a corner compared to a concert grand piano. While baby grand pianos are an upgrade over upright pianos, they do not generate the same sort of sound that concert grand pianos can. In some cases, high-quality upright pianos outperform baby grand pianos in terms of sound quality. However, baby grand pianos, for the most part, generate a bolder and richer sound than upright pianos. The biggest benefit of a baby grand piano is the action. Especially for an advanced pianist, being able to play technically challenging works takes an instrument with that kind of capability. In general, the action of a grand piano allows pianists to quickly change dynamics, and repeat notes without having to fully release the keys. This is something that upright pianos cannot easily do, which is why grand pianos are often preferred. The way the action responds depends a lot on the piano builder, and how the instrument has been regulated over time. Proper care and regular inspection of grand pianos are important to keep them in solid playing shape. The reality is that some grand pianos are better than others. Cheap grand pianos won’t play the same as high-end grand pianos, although there are a few exceptions. A few quality brands that make affordable baby grand pianos include Brodmann, Young Chang, Yamaha, and Howard. Here’s a full list of other piano brands that also make baby grand pianos. Concert grand pianos are considered the cream of the crop. They are the largest of the pianos, often measuring 7’6″ and above. Some elaborate concert grand pianos also have extra keys are much longer at 10’3″. The most popular concert grand piano size is 9′, and it’s what most of us see in recital halls and performance venues. Concert grand pianos are known for their powerful sound and tone control. These pianos are often the most refined, featuring very responsive action and the ability to control tones. Concert grand pianos have larger soundboards and longer strings. Grand pianos feature double escape mechanisms which allow for quick repetition. The higher quality the grand piano, the better that mechanism works. These instruments are designed to play not just solo concerts, but also to fit in with ensembles. Because of their size, they can produce enough sound to fill a huge 3000 seat concert hall. Concert grands are also sought for recording projects and other high profile engagements. The Steinway model D is the most popular concert grand piano and often considered to be the best piano in the world. Concert Steinway pianos costs around $171,000 brand new! All of the big brands such as Bosendorfer, Yamaha, and Fazioli make concert grand pianos. They take the longest to produce in the piano factory. A rarely discussed type of piano is the square grand piano. It’s similar to the Clavichord whereas pianofortes at the time were styled after the harpsichord. Square pianos were very popular in the late 1800s first in Europe and then in America. As the upright piano gained popularity in the early 1900s, the square grand piano started to lose some traction. Upright pianos saved even more space and produced a bigger sound than square grand pianos. Square grand pianos were known for their soft, harp-like tone. Square grand pianos provided many of the same sorts of benefits of a small baby grand. Their biggest benefit though was their design which allowed for placing them against walls in small homes. They featured a rectangular shape and were very popular among Vienesse and English builders. Some square pianos also featured rounded sides similar to a modern grand piano. The entire casing of the instrument is made primarily of wood. These pianos also feature four legs instead of three. The lid opens up, and underneath that is where the soundboard, strings, and hammers are located. Rather than the strings running front to back, they run from left to right. Square grand pianos started to feature more metal in their framing which allowed for greater string tension and bigger sound. This included iron frame square pianos which Steinway made popular in the 1890s. One of the drawbacks of square grand pianos is their heaviness. Because of the materials and condensed frame, it was not easy to move them around. Digital pianos are the most effective option for those needing a piano without too much risk. Digital pianos are much cheaper than acoustic ones. In addition to that, digital pianos cost significantly less than any other type of piano. The average digital piano costs between $200 – $1200. High-end digital pianos with large soundbanks, weighted keys, and innovative self-teaching technology cost between $2000 – $4000. Because of that technology, digital pianos can actually end up being really expensive. At that rate, it’s better to invest in an upright piano with authentic hammer action instead of something synthetic. Synthesizers and stage pianos are commonly used in live band performances. These pianos don’t usually have speakers installed on them and require an amplifier or headphones to produce sound. Next, up are digital piano consoles like the Yamaha YDP-143R. These pianos are built to mimic that of an upright piano but in a much smaller frame. These pianos generally have the more refined weighted hammer action and also boast some other unique features. This includes live recording modes, and the ability to change the overall touch and tone of the instrument. Then there are the basic digital keyboards that don’t have semi-weighted action. These pianos are usually the cheapest of the bunch and vary in how many keys they have. Some models have 61 keys and are ideal for music production. Others have 88 keys and are nice pianos to start a new student with. Digital pianos are a great option for those new to pianos whether it’s an adult or child. Most beneficial is the ability to save on investing in an upright piano and to save on overall space. Check out some of the best digital pianos for beginners here. Another member of the vertical piano family is the spinet. Spinets gained a lot of popularity in the 18th century. They were cheap to produce, small in size, and the quietest version of all the vertical pianos. Originally, the spinet was an instrument that shared a lot of the same characteristics of a harpsichord. It had a wing shape to it with The keys set adjacent to the strings. The sound was produced through the plucking of strings. The term has modernized over time. Now the spinet simply refers to a vertical piano that averages around 36″ in height. It is the smallest of the vertical pianos, and therefore produces the least amount of sound. The soundboard is much smaller than an upright piano, and the strings are also much shorter. Much like the rest of the vertical pianos, it was designed to go against a wall. When comparing a spinet to an upright piano, the biggest differences are in how the action works. Spinets use a very indirect drop action. This is done in part to the actual keys being significantly shorter than what is found on an upright piano. Because of this, the keys themselves are not directly connected to the action. There’s a rod that helps connect the short keys of a spinet to the rest of the action. 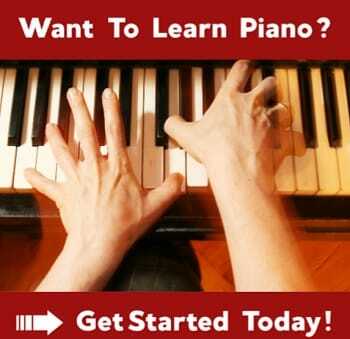 Because of this, it’s hard for a pianist to produce a consistent touch or sound when playing the spinet. Dynamics are very hard to control, and these instruments are tough to tune properly. The console piano is a much-improved version of the spinet. It’s slightly taller, usually ranging between 40″ – 44″. It’s considered the middle point between a spinet and upright piano. Consoles are actually the most popular of all the vertical pianos due to their compact size and quality sound. The largest difference is in how the action works. Console pianos have less working parts than a spinet so they are much easier to perform maintenance on. Because the keys are longer, they are actually directly connected to the hammers. This allows for much more dynamic control and playing accuracy. The action sits directly on top of the keys which also leads to a better feel for the pianist. Overall, the consoles are less expensive than spinets. Spinets, for the most part, are not in production anymore. Console pianos, however, are still very much present. While most console pianos are acoustic, there are many digital versions of the console piano as well. This includes the Yamaha CLP625 and Suzuki VG-88. Studio pianos are very similar to console pianos, except with more height. Usually, this is between 44″ – 48″ in height. While it’s taller than a console, it’s not quite as tall as a full upright. The additional height allows for better sound quality. This is in part to the larger soundboard and longer strings. Compared to spinets, these are much more well made with quality materials. Many consider studio pianos to be the next closest option to a grand piano. This is not just in how they produce sound, but also the feel of the action. Although the cabinet of the instrument is small, it features a full-size action which allows it to play with refinement. Many of studio pianos feature Renner action, so it’s is very comparable to a grand and it’s also in a different location than a console piano. As technology has advanced, so has the ability to play the piano pretty much anywhere. 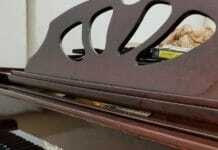 This leads us to an often overlooked piano; the tablet piano. There are many popular apps available that allow pianists to play the instrument as long as they have a device. Most popular are the piano apps featured on iPads and Android tablets. While these apps won’t train the muscles to properly play an acoustic instrument, they allow for musical discovery. Many of the piano apps feature interactive games, and the ability to transpose instruments and play along to sheet music as well. Ideally, a tablet piano would be for kids. There is also some use for them for those who are into composing music or just need a way to practice while traveling. Many of these piano apps also have learning modes in them to teach new music, music theory, and even record music. There are many toy pianos available that work as great introductions to music. These pianos are not quite as expensive as digital keyboards, and they are limited to the number of keys as well. Ideally, these kinds of pianos would be suited for toddlers who are not quite ready to take music too seriously. Some of the different types of toy pianos on the market include miniature grand pianos and piano mats. Piano mats can be played via touch sensitivity. Kids can either step on the keys to produce a sound or touch them with their hands. These mats are usually large and can take up quite a bit of space. The miniature grand pianos usually feature 30 – 37 different keys. This is enough for kids to produce their own fun music. The keys operate as buttons, so they are easy to press down. Some miniature grand pianos feature color-coded keys and books to accompany them. This means young pianists can actually match up the colors with the book and get their first taste of what playing music is like. While these are toy instruments, they still provide a lot of value. They are also relatively inexpensive. Many of these miniature grand pianos also feature fun playing modes with games. Here’s a toy grand piano worth looking into.